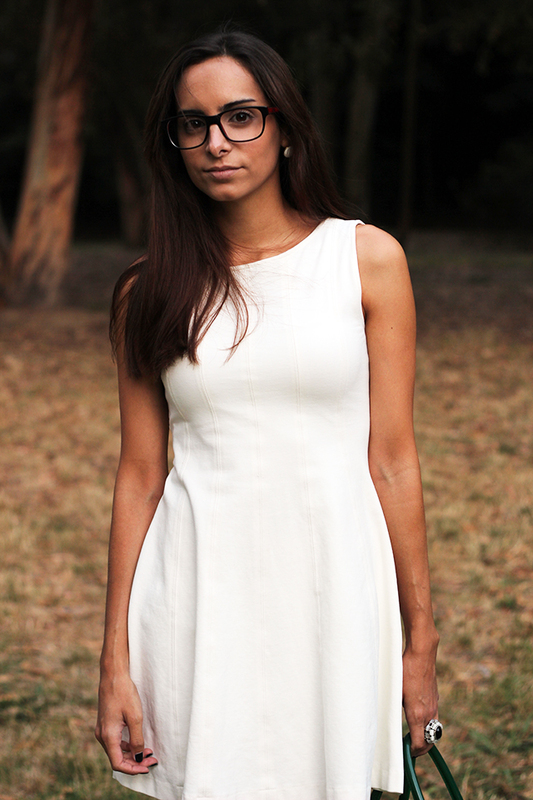 Para vos mostrar esta novidade, optei por um simples vestido branco e pouco mais, como que uma tela em branco, para dar todo o destaque ao anel. Se gostaram e querem um para vocês é só entrarem em contacto comigo através do email mykindofjoy@gmail.com. Custa 9,90€ e os portes (envio por correio normal) são grátis para Portugal continental. To show you these news, I chose a minimal look with simple white dress to let the ring shine. If you liked it and you want one for yourself, you just have to send me an email to mykindofjoy@gmail.com and we can talk about the details. The ring costs 9,90€. Love your dress!!! Very chic and must have for summer!!! The ring is amazing!! Love the dress too!! You look beautiful. Love your white dress and the ring is truly stunning. Congrats so much. How many people have a ring that's named after them. Wish you a wonderful Friday!! You look so lovely in that white dress! and the ring is just stunning. Those glasses suit you so much! You look adorable, as per usual :)! Mas o que me chamou mais a atenção de tudo foi o vestido. Fica-te lindamente no corpo e é tão simples e bonito! I love this white dress on you! You look so amazingly beautiful! I love love LOVE that dress! And your bag is adorable - the perfect shade of green! estás tão linda! Adorei o vestido e o anel também é muito bonito! acho q fizeste a escolha perfeita do vestido para realçar o anel! e parabéns por esta parceria! 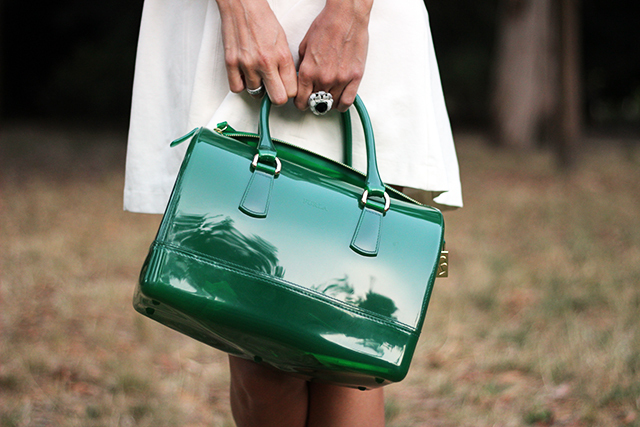 Love the simple dress, the green bag (the colour I preferr), and the ring!!! I would a photo with particolare of ring to post in my blog (with your name obviusly)! And I also like your glasses! adoro o outfit, que giro! You look lovely in this white dress, the pop of Emerald green is a bonus!! OMG u looking sooooo pretty!